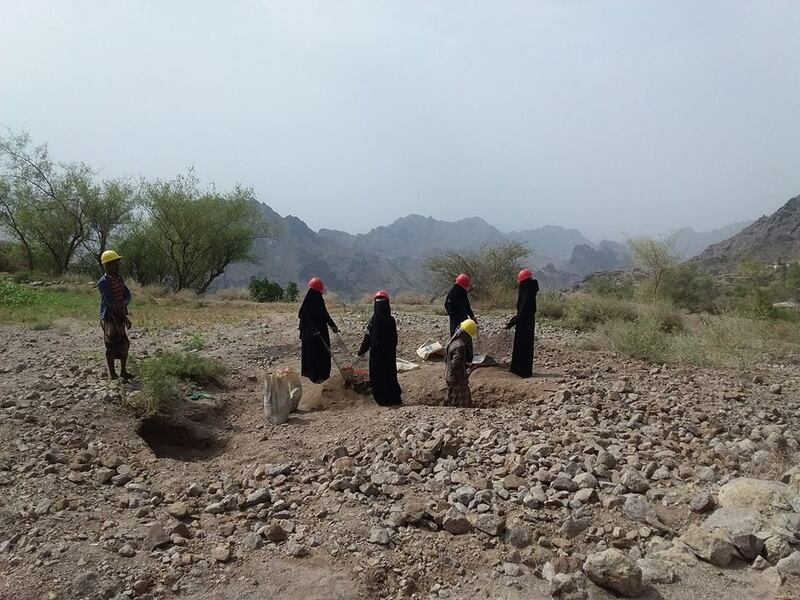 The SFD has launched on the environmental sanitation project to support the public health of the displaced community in residing in a camp in Al-Sha’ab city in the District of Al Buraiqa (Aden). The cash-for-work project includes the construction of latrines to alleviate the IDPs’ suffering, with erecting some significant improvements in the camp. The project provides employment opportunities for IDPs living in the camp. The project aims to improve the daily livelihoods of the displaced and improve the environmental and health situation of the camp. The General of the District of Al Buraiqa Mr. Hani Al Yazidi, pointed out to the role of the SFD in enhancing the efforts of local development and social services through the implementation of service projects in a number of areas of the District, especially the cash-for-work projects to improve the infrastructure, support the displaced and alleviate unemployment among young people. The ceremony was attended by the Services Committee Manager at the Local Council of the District Mr. Mohammed Nayef.